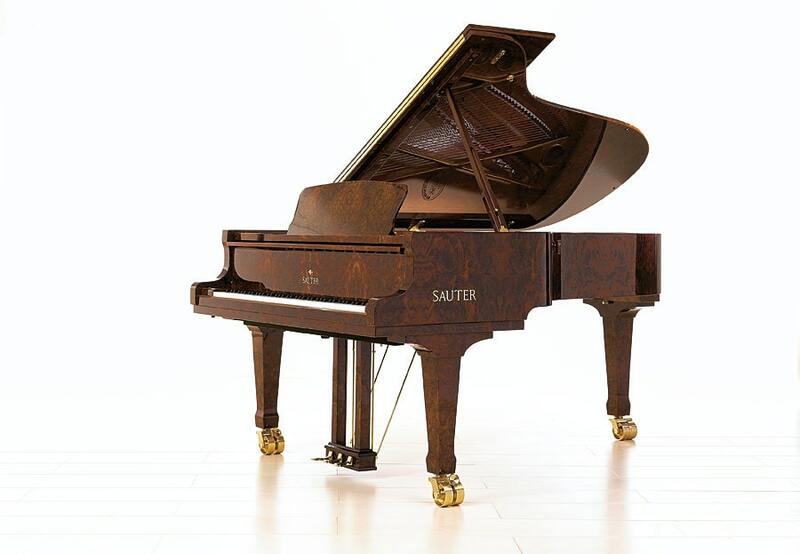 The small concert grand piano might be dynamic and powerful, but it is no less sensitive and charming. The soundboard, which is made from the finest European spruce, facilitates rich variations in sound. 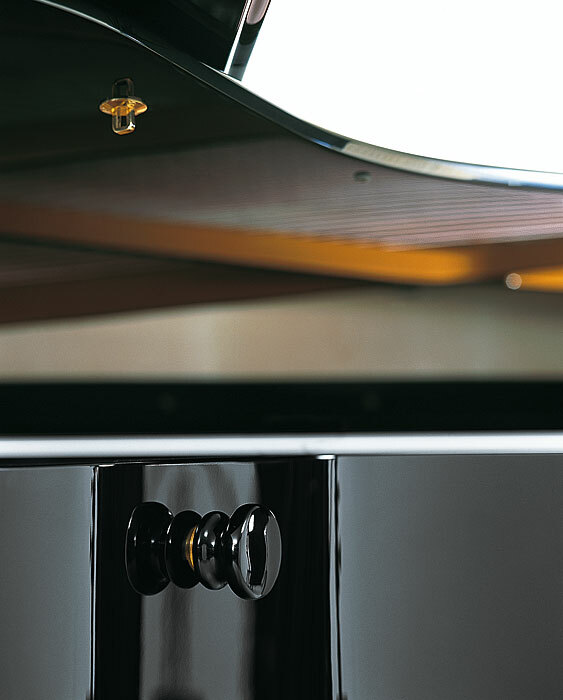 The Omega responds to the slightest touch, allowing the pianist to express himself with real sensitivity. 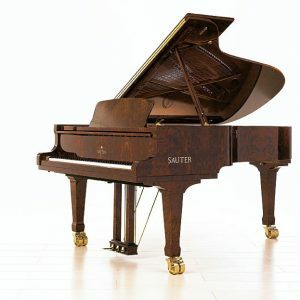 The hammers, which have been carefully selected and are voiced by experts, pack loads of dynamism, facilitating the very finest nuances in sound and brilliant tones. Ebony sharps. Large locking brass casters. Sostenuto pedal. The lid props are made from solid maple for greater tonal brilliance. 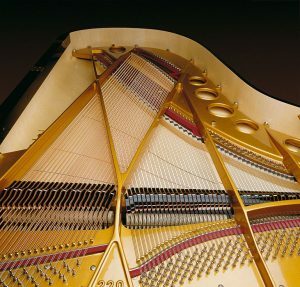 Hydraulic damper* for the piano fall board. Music desk** with convenient one-handed controls for increased reliability and ease-of-use. Sostenuto pedal.